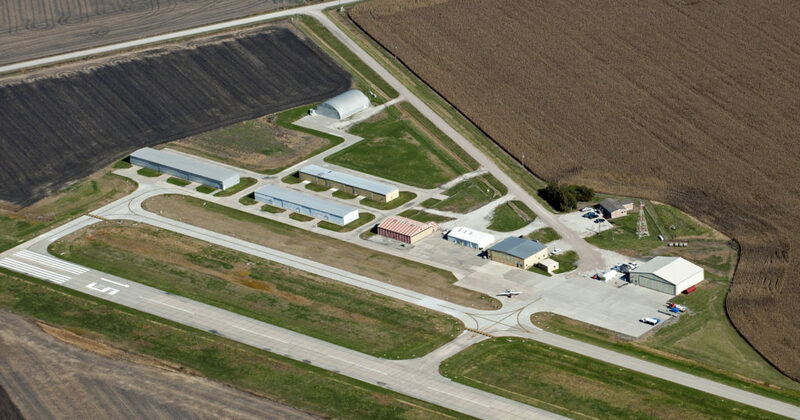 Working to advance aviation interests throughout Nebraska. 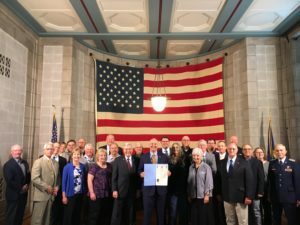 Members of the Nebraska Aviation Council are pictured here with Governor Ricketts at the State Capitol yesterday. 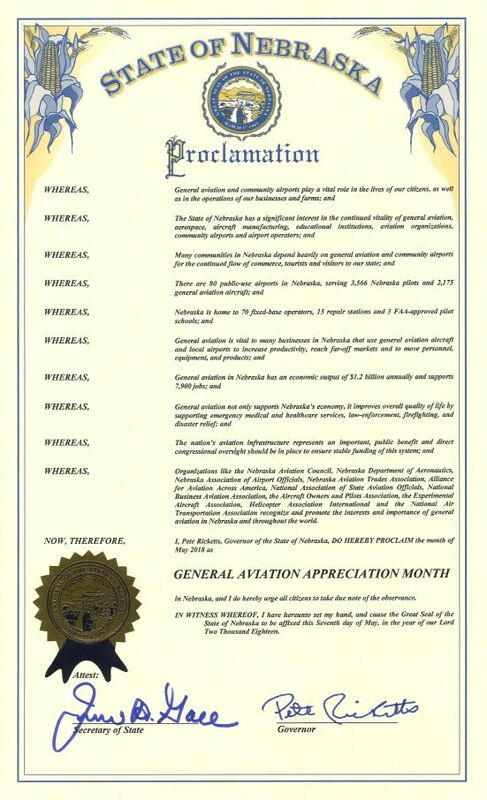 Governor Ricketts signed the proclamation declaring May 2018 as General Aviation Appreciation Month in Nebraska. 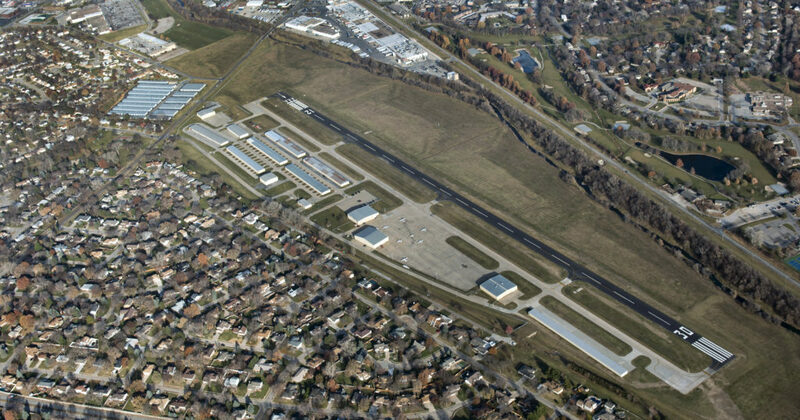 View the official proclamation here. 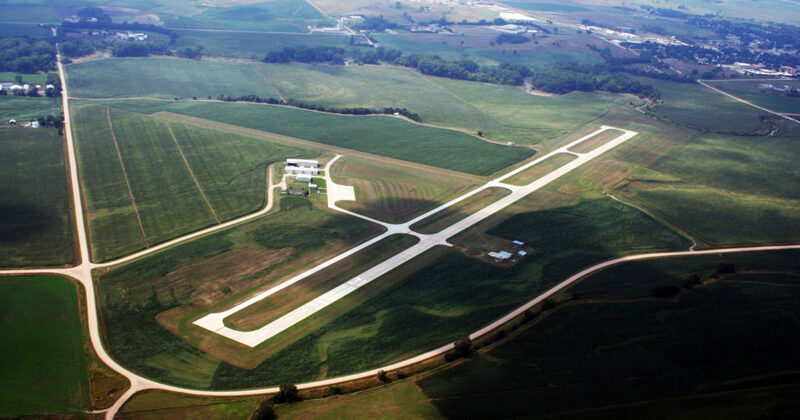 Please join us for the 2019 Nebraska State Fly-In on Saturday, June 1 at the Gordon Municipal Airport (GRN) . This will be the 27th anniversary of the event. Check out the flyer by clicking on link below. 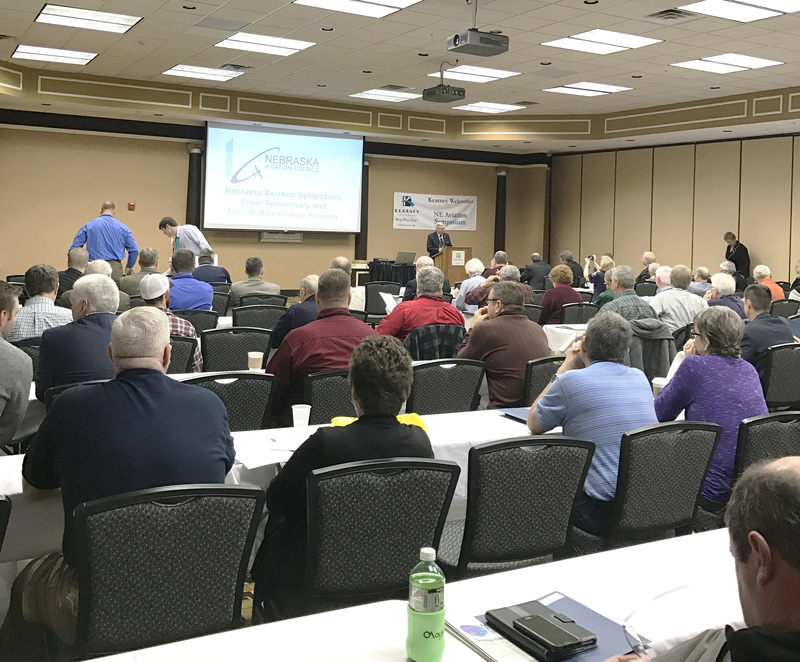 The 27th Annual Statewide conference is intended for airport managers, pilots, consultants, and state and federal officials. 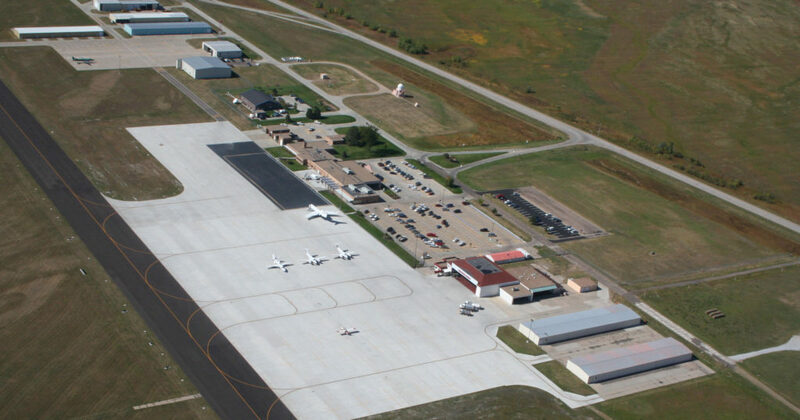 Save the date for January 23-26, 2019 – more details will be available later this fall. 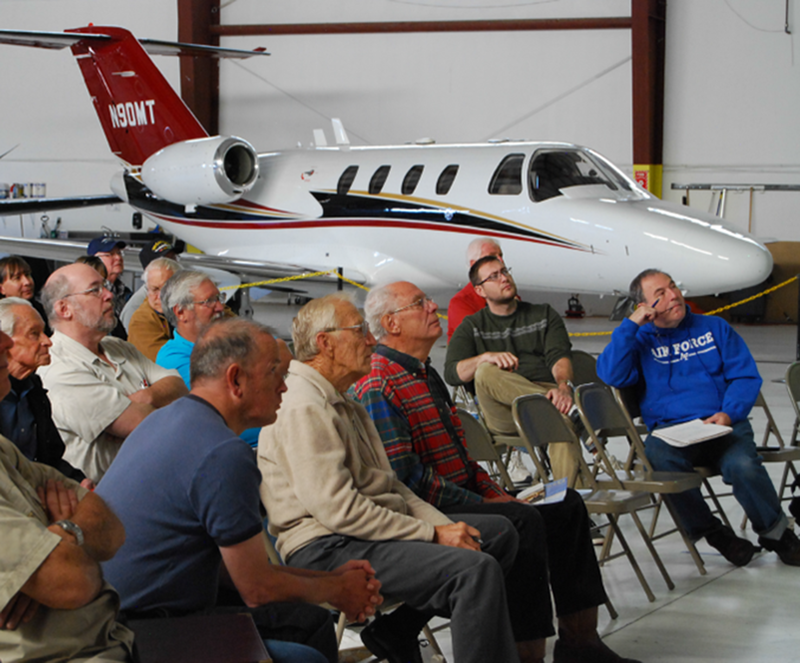 Providing resources to Aviation Maintenance Technicians for recurrent training and professional development.